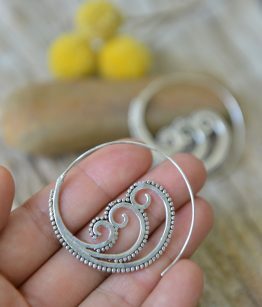 The tribal twist hoops are light weight which are gently sculptured by hand using a traditional brass hammering technique. They twist around however which way you choose. 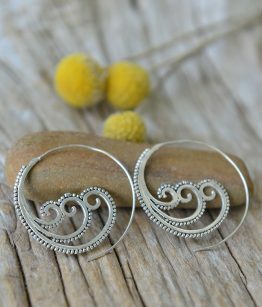 Wear as a pair or just wear one as an eye catching feature piece. Gorgeous chain male necklace. One with pure pewter and the other one adorned multi colour beads. Impressive necklace can be worn casually. Would be the perfect festival accessory. Stunning enough to wear on that special night out. This also make a lovely gift. The chain is fully adjustable. Made from nickel free Pewter.